I am a leeetle1 behind on updating this series, but I blame work, vacation, and being sick for the entire month of June. What did I read during the months of March and April? Poston's characters are fun, real-feeling individuals who obviously love their fandoms as much as I love mine. They never felt like caricatures, which I appreciate so much. The relationship between Elle and Darien is sweet and funny, and although it's fictional and more than a little unrealistic, still felt like something that just maybe could have happened. 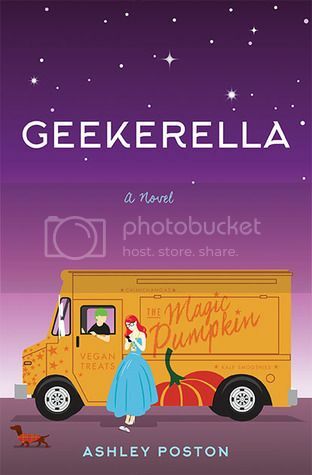 And I love how Poston updated elements of the Cinderella tale to fit with her story, from turning the magic pumpkin into a food truck and having the prince only play one in the movies. 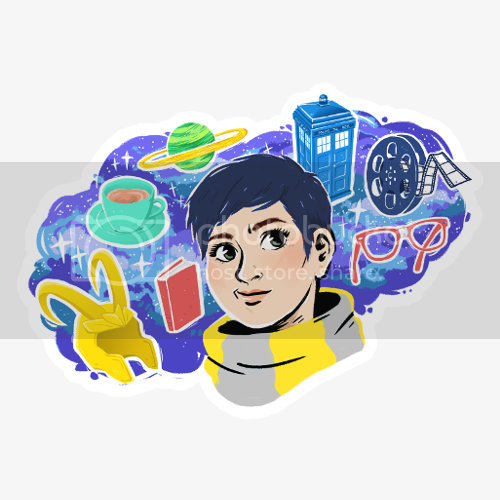 Geekerella's plot isn't anything too deep, but sometimes you just want to get lost in a flight of fancy. With her Firebird series and the Star Wars novel Lost Stars, Gray has quickly become one of my "must-read" authors. 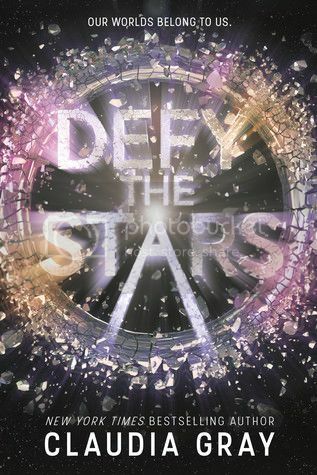 Defy the Stars isn't my most favorite of her books that I've read so far, but it's no exception to the "I love Claudia Gray's books" rule. Starring an android who's way too human for his own good and a rebellious young woman who's willing to do whatever it takes to bring peace to her world, the novel is an exciting adventure featuring a surprising amount of swoon—which is one of the reasons I enjoy Gray's books so much; she's very skilled at mixing these sometimes disparate ideas. I'm excited to see where the rest of the series takes us. 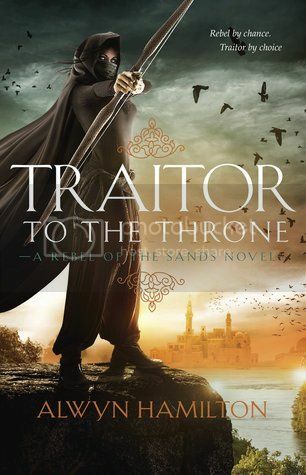 I really enjoyed the first book in Hamilton's series (Rebel of the Sands) and was glad to find that Traitor to the Throne didn't fall prey to the dreaded Bridge Book Blues (i.e., not serve any real purpose other than transition from the first in a trilogy to the last). Hamilton's world-building is superb, and the books are a fascinating mix of middle eastern, western, and fantastical elements. The plot moves a bit slowly for much of the book, but the pace picks up with a gusto as the end nears. It'll be bittersweet to read the last in the trilogy when it's released given how much I've enjoyed spending time in this world. If you've read any of these titles, I'd love to hear what you thought! And definitely let me know if you've read anything lately that you'd recommend. My TBR pile is laughably large, but that doesn't mean I don't love adding to it. Thanks to vacation and then a nasty cold, I didn't get to see Wonder Woman until more than a week after it came out. (That might seem like not a lot of time, but it's unusual for me with this sort of movie.) I tried my best to avoid spoilers, but couldn't help hearing the many, many positive feelings about the film, from both critics and friends. Those opinions bolstered my already high hopes for the movie, and—for the most part—I wasn't at all disappointed. 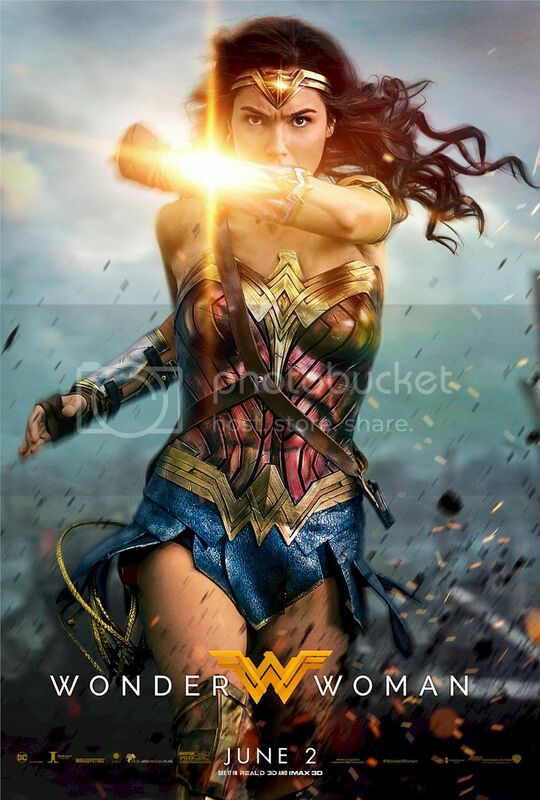 Gal Gadot was wonderful in the role of Diana. I'll totally admit to having reservations about her, but I also know when to admit that I was wrong. The way she played Diana as both fierce and more than a little naive was delightful. I found myself wanting to protect her from the evils of mankind at the same time that I was realizing she needed absolutely none of my help. I loved seeing Themyscira, and the women who live there. They're unbelievably beautiful, and enviably strong, both physically and mentally. Their fight scene at the start of the film was jaw-dropping, and made me especially proud to be a woman (who might be capable of such skill and grace, given the opportunity). Chris Pine's Steve Trevor was also fantastic. I've enjoyed Chris' past roles, but he's never been at the top of my Chris Ranking—until Steve Trevor. I appreciate how, even though he's a main character, he never overshadows Diana. (One of the many excellent feminist parts of the movie.) Although he begins the movie as a pretty typical dude, he's quick to realize how much he can step back and let her do her thing and offer support as she might need it. My only complaints about the movie revolve around the villain, some of the CGI, and the fight scene at the end of the film. Working backwards: The fight scene felt overly produced, in a typical Zack Snyder sort of way. The CGI at times was really awful, particularly when Diana was leaping or fighting. She's a superhero, yes, but she can't stop time/pause mid-air for emphasis. And the reveal of the villain, although unexpected, felt strange. And—highlight for spoilers—David Thewlis' mustache was SUPER distracting. It was fine in WWII, but did Ares really sport that style of 'stache way back when? Methinks no. Am I now waiting with baited breath for Justice League? Not at all. But I have a strong feeling that Wonder Woman will be the best part. I know practically nothing about the Black Panther comics, but this movie looks amazing. The mix of culture and technology already blows me away, and this is only the teaser trailer. And how BEAUTIFUL is everyone in this cast? Ridiculous. These Vanity Fair Star Wars covers give me all sorts of feels. And speaking of Toms: Tom Holland will play a young Nathan Drake in an upcoming Uncharted movie.